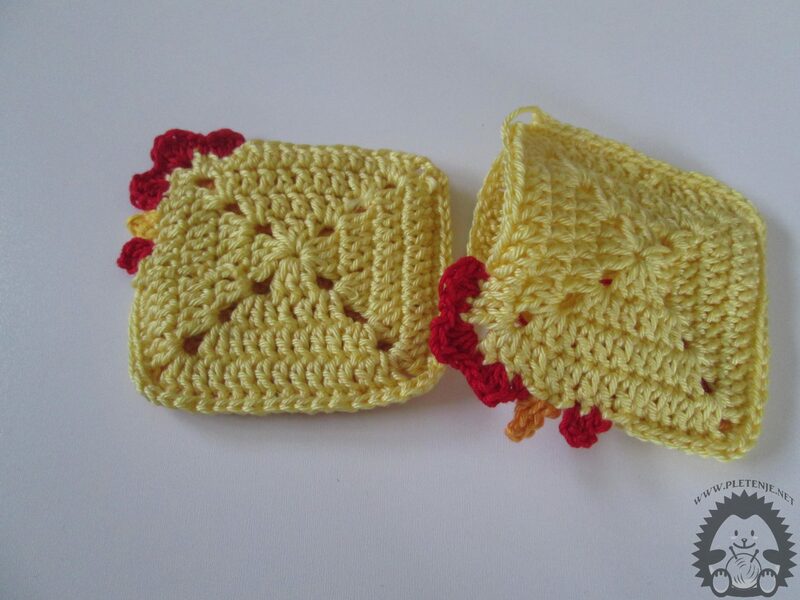 Easter purse is an ideal decoration to cheer up the youngest indoors. 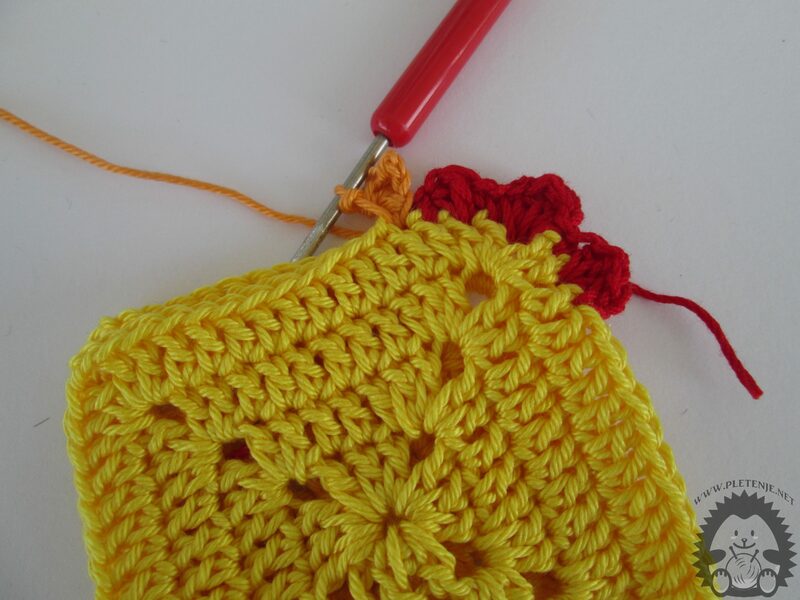 They are made very easy, you need two yellow full squares and a little red and orange wool. Red and orange wool will form a beak and crinkle so that your purse will get a real holiday look. For a better understanding visit ours Youtube channel and watch the video. 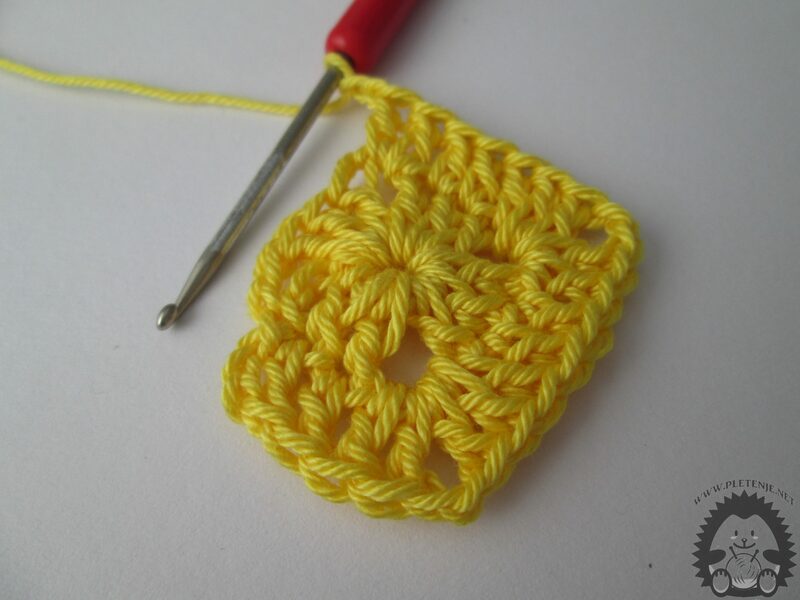 First create two equally yellow squares. Make the starting loop and then the four-eyed chain. Connect to the circuit with a half-shot. Raise three eyebrows into the chain and then make two high sticks in the center of the circle. Then repeat the following procedure three times: do two eyelids in the chain and make three high sticks in the center of the circle. Make two chains and connect the circle with the pole point. Now you have between each of the three high stick sticks that consists of a chain of two eyebrows. In the next round, lift up three eyes in the chain and make two high sticks in the high staves of the previous round. Then, make two high sticks by pulling the hook through the previous bow. Make two chains, then again in the bow two tall sticks. In each high stack of the previous circle, make one high stick. Repeat the process until you finish all four of your squares. Now on each side you have seven tall sticks and a bow of two chains on each corner of the square. Connect the circuit with the firing point. Now on each side you have eleven tall sticks and a bow of two chains on each corner of the square. You are doing the fourth round like the previous rounds. Raise three eyebrows into the chain and make two high sticks in the high staves of the previous round. Then, make two high sticks by pulling the hook through the previous bow. Make two chains, then again in the bow two tall sticks. In each high stack of the previous circle, make one high stick. 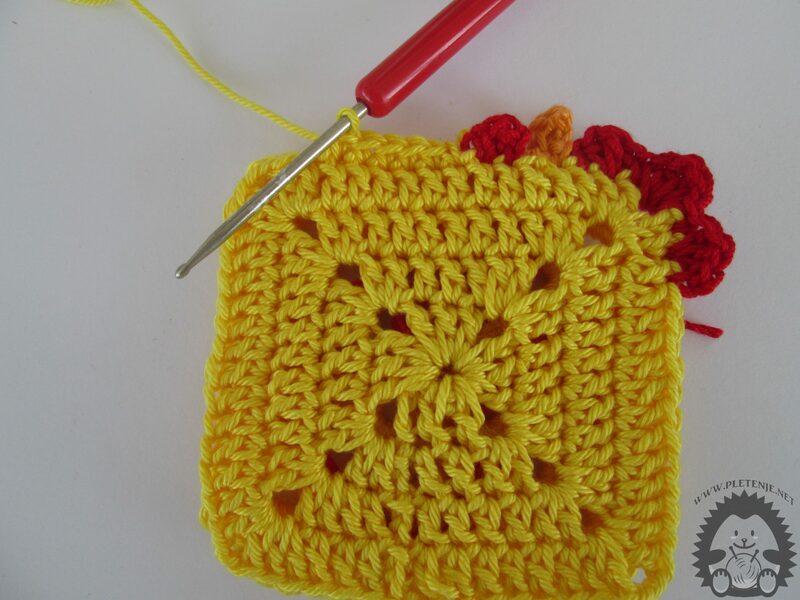 Repeat the process until you finish all four of your squares. Now on each side you have fifteen tall sticks and two chained bow on each corner of the square. 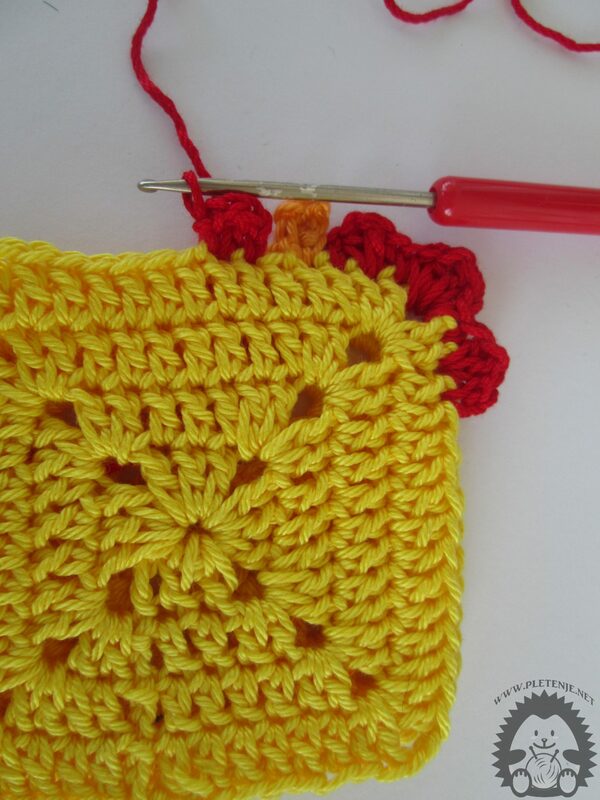 Once the squares are finished, put them one at a time and begin to make a crunch with a red thread. Connect the red thread to the third eye from the top of the square. Be sure to connect it through both squares. Raise one chain, then put a half-rod stick, a tall stick and a half-wicket stick in the next eye. In the last sight, repeat the low stick. At the top of the square, make a small stick, a half-wicket stick, a high stick, a half-wedge stick and a low stick. Then create a small stick in the next eye, in the next eye a half-rod stick, a tall stick and a half-wedge stick. In the third eye, make a low stick. Finish. Connect the orange thread in the next eye and make a popcorn beetle. Raise three chains, then create one half-shot in the first eye, another low stump, and a third half-stem. Connect the fountain to the box. Reconnect the red thread. Then lift up two chains, make a tall stick in the same eye and re-pair the two chains that you connect to the half-dropping box. 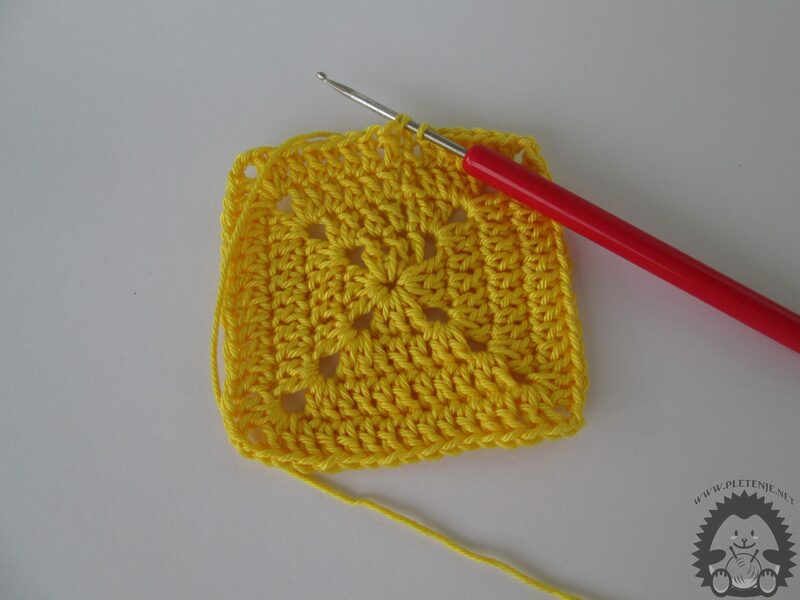 Take a yellow thread and connect it with the squares to leave the fourth side open. 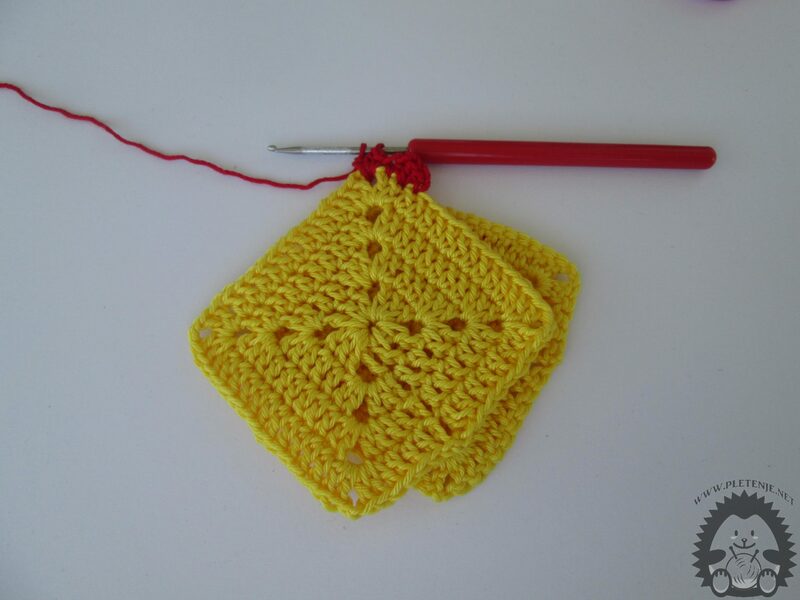 Connect the squares so that each time you pass the hook through the eyes of both squares and do a low stick.